The other day I was craving one of my favorite Tai dishes- beef with basil. I haven’t had it in a very long time. The reason why is that I have never been able to find a Tai restaurant that uses gluten free soy sauce. I recall ordering this amazingly satisfying dish countless times in New York City (this was me pre-gluten free). So I decided to take a stab at making a gluten free version at home (with fingers crossed because this was certainly an experiment). To my utter surprise, it was delicious!!! Actually, I think my beef with basil was better than any time I have ever had it before! So, Asian dish lovers rejoice, you can make keto and gluten free friendly Asian food at home! The recipe below serves 4. Takes about 20 minutes to cook. Easy one skillet meal! P.s. Traditionally this dish is cooked with chili peppers. I prefer not to do this because of different taste levels of spiciness. You are more than welcome to cook the vegetables with chili peppers. 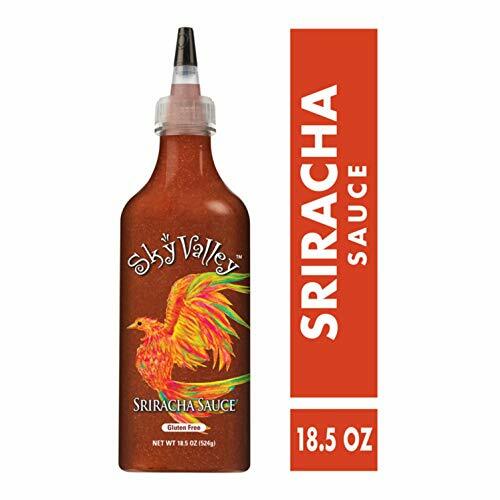 We prefer to add a side of garlic sriracha so you can spice it up to your own taste. Instead of rice, we suggest getting a bag of cauliflower or broccoli rice to serve this dish with. An awesome protein packed side veggie is edamame. Both sides can be bought frozen and steamed in the microwave in minutes. In a medium bowl add beef, water, cornstarch and soy sauce. Toss to coat. Heat oil in a large skillet over high heat. Remove the beef from the marinade and sear the beef until just browned, 2-3 minutes. Remove from the pan and set aside. Add the red pepper and green onion to the pan and cook for 2-3 minutes or until tender. Add in garlic and cook for an additional minute. Add the beef back to the pan along with the sauce. Cook until thickened, 2-3 minutes. Fold in the basil and cook until it’s just wilted.